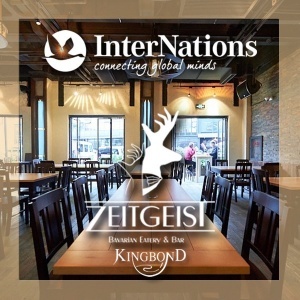 Join us for a Bavarian experience on Friday night in the heart of Shanghai at Zeitgeist! Make sure you try some delicious Brotzeit and refreshing German beer! Make sure to bring plenty of business cards and be ready to meet wonderful people from all over the world. As always with InterNations, this will be a fun night! Our wine sponsor, Kingbond wines (http://www.kingbondwine.com) will offer you a welcome drink and 20% discount on any future purchase of wine. We look forward to see you there. This event starts at 20:00.